In summary, the recent Localism Act introduced new powers to allow Parish Councils such as ours to shape new development in our community. This is achieved by preparing and submitting a Neighbourhood Plan to establish general planning policies for the development and use of land in the Parish. Importantly, it allows the community to use neighbourhood planning to influence and permit the development we want to see. East Devon District Council would continue to produce the strategic development plan, within which an accepted Neighbourhood Plan would sit. Proposed Neighbourhood Plans need to gain the approval of a majority of voters of the neighbourhood to be accepted. If proposals pass the referendum, the local planning authority is under a legal duty to bring them into force. A fuller explanation of the Neighbourhood Planning process can be found by clicking the link to the Government Planning Portal below. In March 2015 it was proposed at a Parish Council meeting that a Neighbourhood Plan be developed and an application was made to East Devon District Council in May 2015. 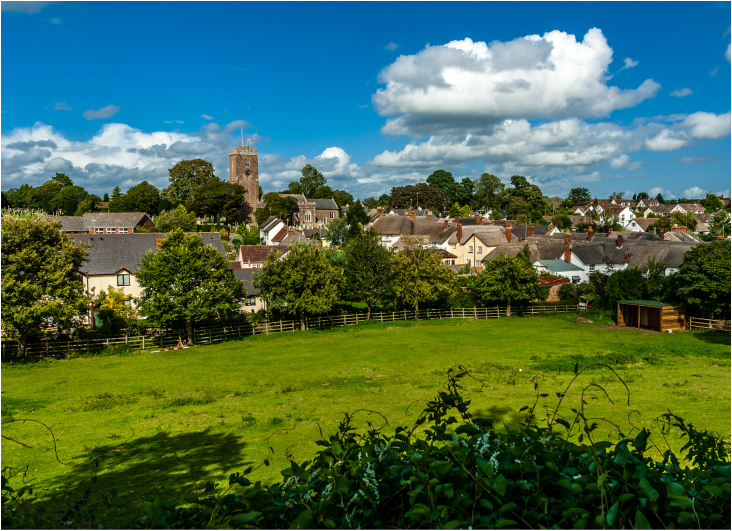 In June 2015, EDDC gave the go-ahead for us to put together a Neighbourhood Plan for the East Budleigh with Bicton Parish. Basically, this document will set out the history of the Parish, its present status and, most importantly, our wishes for the future. Not least the proposals in the document will go some way to defining and controlling the developments within the Parish so as to retain its charms and characteristics. The Neighbourhood Plan project was undertaken by a Parish Council Working Party and set out to establish where new development would go, what kind of development it would be and what range of social and leisure facilities would be needed to make our Parish a better place to live and work. ​On 29th March 2016 a pre-submission Neighbourhood Plan document was presented to The Parish Council, which unanimously approved to proceed to a formal 6 week public consultation process. ﻿﻿​﻿Following the above public consultation, the Neighbourhood Plan was finalised and a Submission Document was sent to EDDC on 20th August 2016 for consultation. This began the process of it being adopted as a planning policy document. The finalised Neighbourhood Plan, updated with the Examiner's comments and approved by EDDC on 8th March 2017, can be viewed below. Parishioners voted on whether to adopt the above Plan by way of a Referendum on 25th May 2017. The result was an 88% 'Yes' vote on a turnout of 37.5%. ​The Plan was presented to EDDC's Cabinet meeting on 14th June, when it was 'made' (accepted) and now forms part of the Development Plan for East Devon.